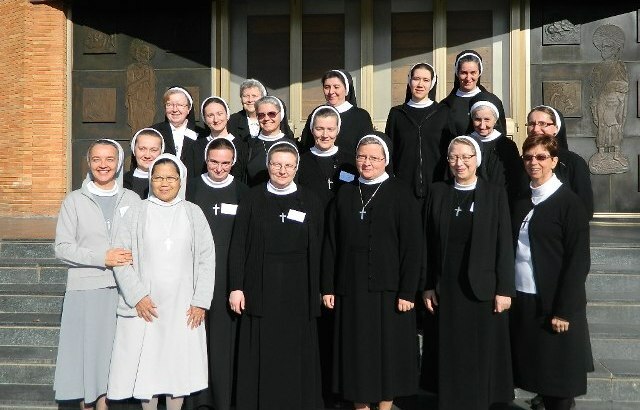 The Sisters of the Holy Family of Nazareth are an international apostolic Congregation of vowed women religious. In the tradition of our Foundress, Blessed Mary of Jesus the Good Shepherd, we strive to be women committed to a deep prayer life, one which gives meaning and direction to our engagement with the Church and society. 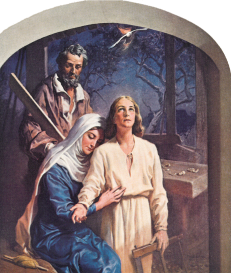 Reflection on the life of the Holy Family of Nazareth urges us to center all on God, as did Jesus, Mary and Joseph at Nazareth. We believe that in God, all is interconnected and imbued with divine grace. From this Incarnational stance, we approach all of creation with respect and awe. All people are seen as children of God, and our ministries in thirteen countries enable us to find the face of God in a great diversity of cultures and life experiences. Recognizing the family as the most important building block of a strong society, we are especially committed to strengthening family life and enhancing the moral and spiritual development of families. We accomplish this through a wide variety of ministries, including traditional and non-traditional expressions of education, health care, social services, spiritual services, including evangelization, catechesis, retreat work, and pastoral ministry. The sisters pictured here represent members from 13 countries on 5 different continents – Africa, Asia, Australia, Europe, and North America, a unique gathering on the occasion of the International Symposium ”Nazareth Sisters – with the Holy Family for Families” held in 2014. They try to catch you, you chase them. Ref: You are not alone, someone loves you very much. You are not alone, someone needs you, trust Him. And fill you with His light.